Mamta Nanda has been practising Reiki healing since 2001. She is a Reiki Master practising and teaching Reiki, Usui Shiki Ryoho. Over the years Mamta has had the privilege of spending time with and learning from several Reiki Masters, some of whom were initiated by Mrs Hawayo Takata. Having seen how beneficial Reiki healing is for herself, her family, and her two children, Mamta has been inspired to specialise in working with Pregnant Women, Mothers and Babies. She offers Reiki treatments, Reiki Courses and Reiki Shares to everyone in London, more specifically in Highbury, Islington, North London. Mamta teaches Reiki in India also. She is happy to go and teach Reiki where invited. Mamta offers Metamorphic Technique sessions, Hopi Ear Candling treatments, Soul Plan Readings, Restorative Yoga, works with Bach Flower Remedies, has a vibrant interest in nutritional healing and also offers Healthy Eating workshops. Please contact Mamta for information about any of the above or special events like Introductory talks, Taster Treatments, Reiki Training, Reiki Shares & Workshops, Healing sessions in workplace etc. 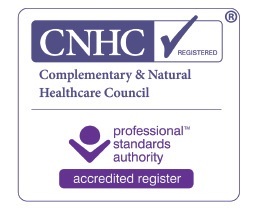 Mamta is registered with CNHC - Complementary and Natural Healthcare Council. She is a verified practitioner member of The Reiki Association (TRA). She is serving on the Council of TRA. Mamta also represents TRA on Reiki Council, the lead advisory body for professional Reiki practitioners in the UK. Mamta is listed in the Reiki Association's Reiki Directory as a Reiki practitioner and Reiki Master. Mamta is also a member of The Reiki Alliance - an international community of Reiki Masters dedicated to the practice of Reiki, Usui Shiki Ryoho. Mamta supports the Reiki Home project and Connecting Reiki with Medicine Project. Mamta teaches level 1 Reiki class every month. Please do contact Mamta if these dates are not convenient. She can try to customise a class to suit your convenience. There is extra fee for one-to-one Reiki class.